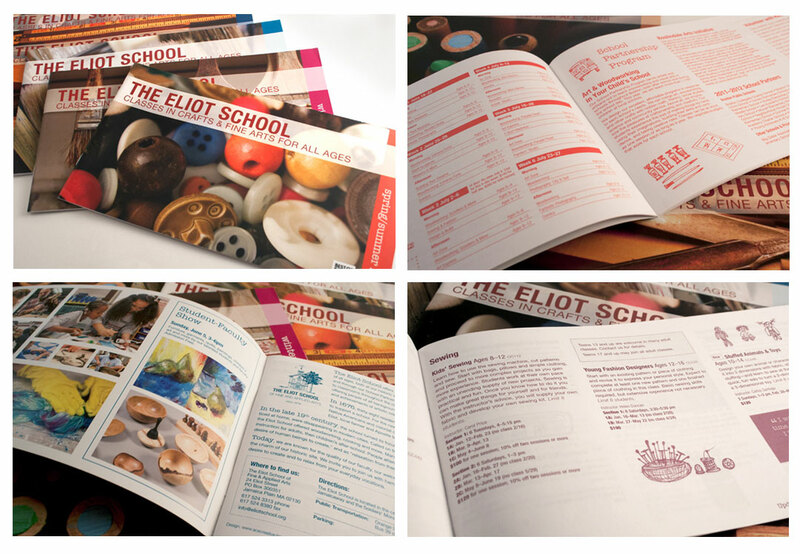 Working with a brand and catalog system that Ace Creative developed in 2009, I have laid out the catalogs for the Eliot School, a nonprofit fine arts and craft school in Boston, MA, for the last several years. My role has involved working with the client to choose a photo and color band for the cover, laying out the 28–32 page catalog according to preset styles, inserting the whimsical illustrations of tools and materials where appropriate, and layout of the inside front and back covers with photos and event information. I also handle all printer communication.